Everyone knows that playing the piano is useful for the child. 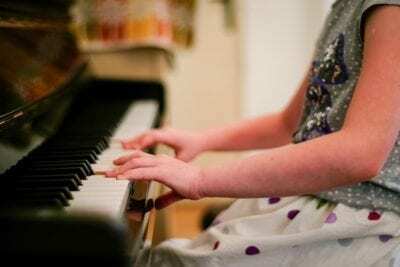 Have you ever thought that besides direct benefit from studying music, playing the piano gives you a whole bunch of pluses in other areas of your child’s development? And here are 10 of them. Playing the piano helps to develop coordination of hands and eyes. Children are much quicker and easier to learn writing, producing a beautiful handwriting. The child during the game focuses his attention on reading notes, learns to play the work at a given pace – all this develops the ability to concentrate his attention, which is very important for the harmonious development of the child. distinguish the teacher’s voice and focus on his speech, and also memorize words much faster and build sentences. Due to the fact that the child watches the musical note, reading the piece of music, and simultaneously plays the instrument, he develops the skills of rapid reading. Everyone knows that in the human brain the centers that are responsible for the study of languages ​​and music are closely interrelated. If your child is engaged in music since childhood, then it will be much easier for him to learn foreign languages. According to recent studies of the brain, those children who play piano have great abilities for exact sciences. more disciplined thanks to the successful combination of music lessons with walks and rest. Doing homework and working at music lessons accustoms the child to diligence and purposefulness. Long years of playing the piano, studying complex and large pieces of music, preparing your repertoire contributes to a tremendous improvement in human memory. When you remember the sound of spring rain or the whisper of the surf, bright musical pieces will play in your head, exciting imagination and feelings. Simultaneous work of the right and left hemispheres of the brain strengthens the neural connections. The level of IQ people who are engaged in music is 50% higher than that of ordinary people. Next Next post: The Correct Posture for Piano Playing!